What defines a great leader? Read this article written by our american blogger Anaya Bobst and inspired by a Daily Dance Dialogue moderated by Amy Brandt which took place on February during the competition with Gigi Hyatt, Sue Jin Kang and Loipa Araujo. 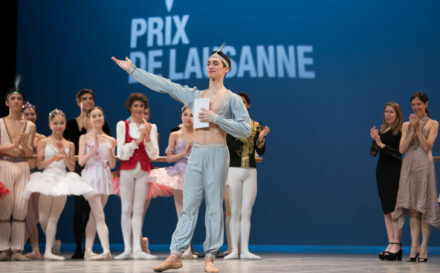 Re watch the daily live sessions of the Prix 2017, the Selections as well as the entire Finals with the interlude (Bundesjungenballett, Royal Ballet and Ballett Zürich) and the Lifetime Achievement Award ceremony (with John Nuemeier) on our Youtube channel.